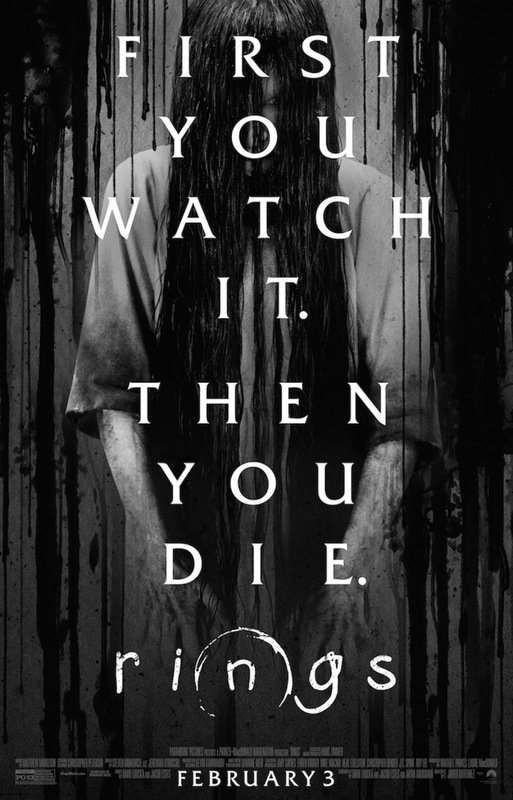 Rings is the 3rd of the series spawned from the original "The Ring" back in 2002. This once again features Samara as the all conquering girl who crawls out of your telly. This time round Julia (Matilda Anna Ingrid Lutz) and Holt (Alex Roe) have watched the dreaded film and have 7 days to work out how to stop the film spreading and ultimately stop themselves from being hunted down by Samara and killed. 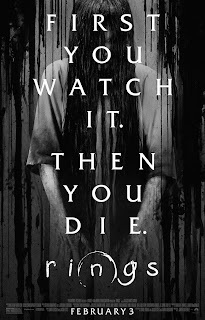 Rings does tread a new path this time round although it keeps all the elements that made the original The Ring movie successful. The scares are frequent but also unsurprising, the tension high in some parts but ultimately this film treads over very worn ground and does nothing new to make us stand up and take notice. It is quite simply a pretty boring film bar the odd moments of tension and trepidation. Johnny Galecki also features in the film but has a bit part to play and was clearly just picking up a quick pay check. I think The Ring saga needs to be left alone now so we can reminisce from the first one and every time a new Ring film is made it tarnishes the good that came before it. A distinctly average film for a series that is losing steam fast, such a shame.